LEGO IDEAS - The Greatest Battles Built by You! It’s time to share your ideas with the community. We look forward to your contribution! We’re celebrating the 20th anniversary of LEGO Star Wars™ with a tribute to the greatest battles ever in Star Wars. To do this we want to see your favorite battle scenes from the epic saga. You can add your own fun or alternative twists to the scenes… but build it with LEGO bricks you must! The super exclusive 4521221 Chrome Gold C-3PO LEGO Star Wars Minifigure produced in 2007 for the 30th Anniversary of Star Wars. Just 10,000 of these were ever produced! NB! As some of the prizes are collected from the LEGO vault there can be smaller dents or scratches to the packaging. ENTRY DEADLINE: Submit your entry no later than May 4th, 2019 at 6:00 a.m. EST. What a special day to end this contest, right? If you’re not sure what time zone you’re in, here’s a time zone converter. Submission Phase - Build and submit your entry before May 4th, 2019 at 6:00 a.m. EST. We recommend submitting your entry 2-3 days before the deadline in the event we have to return it to you for changes. Judging Phase - Our judges review the entries and choose the winners by May 20th, 2019. Winners Announcement - We share the Grand Prize winner and two Runner Up winners here on LEGO Ideas no later than May 29th, 2019! Take up to five photos of your creation and submit them to the contest. Make sure to show off all angles and any features or functions of your creation. Please submit your photos in as high a resolution as possible so that we can see all the details clearly. If possible, the shortest edge should be at least 1080 pixels. You must be the original creator of all creative work you submit (the model, images, photographs, description text, etc.) and you must have the exclusive right to submit your model to this LEGO Ideas Contest. You may not submit a model or any other content made by, or on behalf of, someone else. You are allowed to use any official LEGO element (LEGO System, LEGO DUPLO, LEGO TECHNIC/Constraction) in your entry. The LEGO elements must be genuine (not cut, glued, or otherwise modified). Entries should not contain copies or references to any other existing third-party work or creation or infringements of any third-party intellectual property right. The only intellectual property that your creation may be linked to for this contest is Star Wars. You may use Minifigures in your entry. Please only use LEGO Star Wars Minifigures or generic Minifigures that do not use any third party intellectual property. You’re allowed to use graphical elements/effects to support your battle scene. These must be your own original designs/images. You may submit digital entries using LEGO Digital Designer, which is available for download via this link free of charge. Any entries made in LEGO Digital Designer should not show the baseplate from build mode. You may also create digital entries using third-party LEGO CAD software such as Studio or Mecabricks. You may use photo editing software, such as Photoshop, to enhance your entry’s presentation. Entries containing photos that are too dark or blurry will not be approved. To ensure easy judging of your entry, we recommend taking pictures on a neutral background free from background clutter, with your model well framed. Please do not include people or limbs in pictures you submit. Photos containing such will be removed. Please do not overlay any text or logos onto your submitted images. Your contest entries and comments on contest entries must follow the complete LEGO Ideas House Rules. 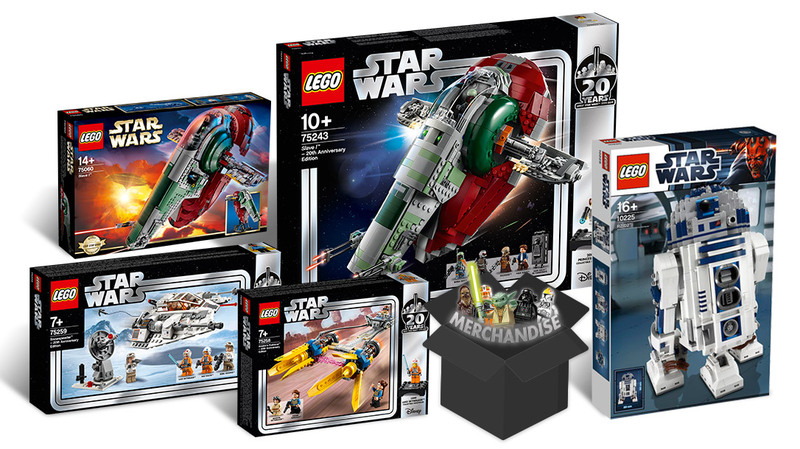 Winners will be contacted on the email address associated with their LEGO ID account after May 20th, 2019. Winners will be announced on LEGO Ideas when all winners have returned the signed Winner’s Certification Documents. A winner who does not return their Winner’s Certification Document within one week (5 days) of receiving it will be disqualified, and a new winner will be selected. 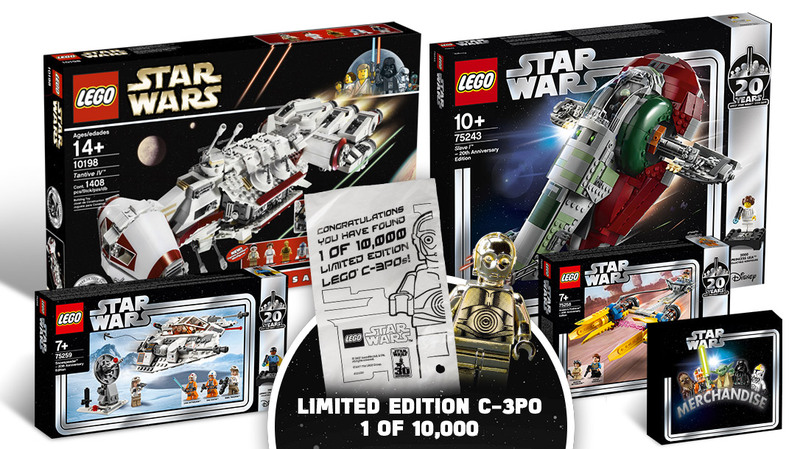 By entering the contest, you agree to follow the rules on this Contest Brief page and you agree to the LEGO Ideas Terms of Service. This contest is offered, organized and run solely by the LEGO Group. Participants should direct all queries and matters relating to the contest to LEGO Ideas. All proprietary rights in and to any intellectual property (e.g., copyrights, trademarks, trade dress, art works, characters, logos, brands, symbols, devices, slogans, and tag lines) of Lucasfilm Ltd., Disney Consumer Products, Inc., and their affiliates (the "Disney Entities"), are exclusively owned by and reserved from inception by the Disney Entities and/or their designee(s). Your entry, or elements or portions of your entry, may be similar or identical to the many ideas, suggestions, or creative elements developed by the Disney Entities' personnel. The Disney Entities shall have no liability to you for the use of material independently created by the Disney Entities' personnel even if such material is substantially similar or identical to your entry. Big thanks to The Brothers Brick & SquatchLUG as well as Solid Brix Studios for use of images featuring their Star Wars battles!